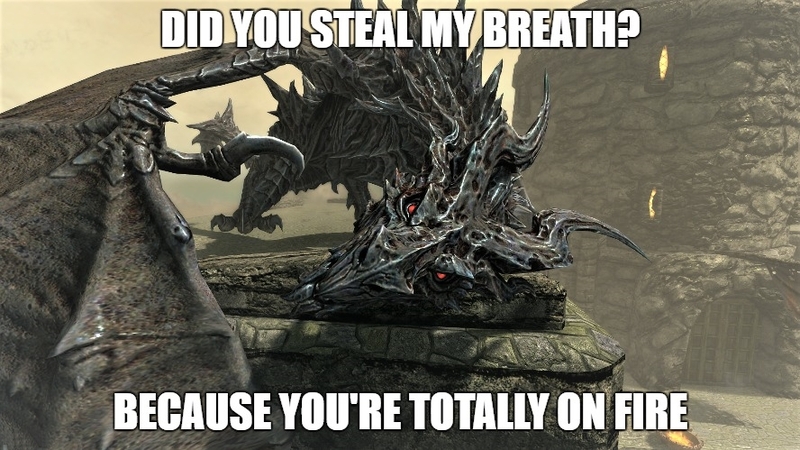 Did you know Alduin’s a master pick-up artist? You know what they say – If only all women spoke french, and men dragon tongue. You’re guaranteed some shouting from the back of the corner nearing closing time. And for the last one, an edgy, direct approach, when Mr. A is feeling extra spikey.